This short branch line of just 1.7 kilometres (one mile) was opened by the Eastern Counties Railway in 1849, with a junction from the mainline at Water Lane Station (now Angel Road). The round-about route, first to Shoreditch and then Liverpool Street, via Stratford proved too circuitous for most people other than those taking advantage of early morning workman's fares, and traffic declined sharply with the opening of the more direct route via Seven Sisters (see also Seven Sisters to Palace Gates). 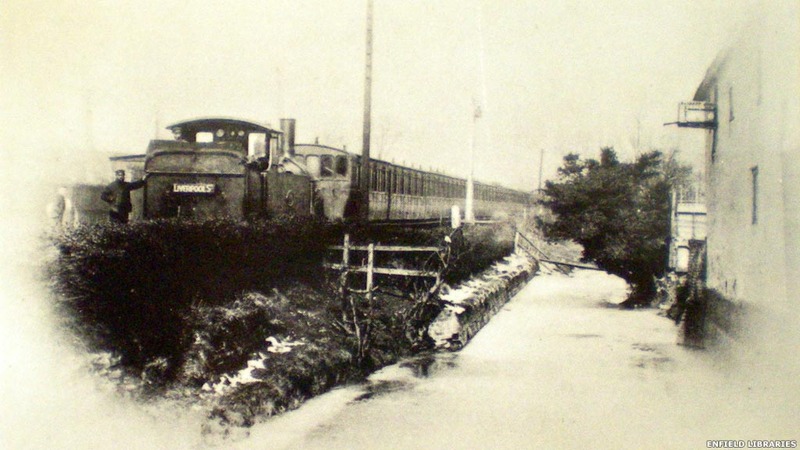 The last passenger service ran in 1939, and goods services were finally withdrawn in 1964. The line was lifted in 1965.